Unicorn Gundam of the final decisive battle appearing in [Mobile Suit Gundam Unicorn] has appeared in the volume of the RG series maximum! 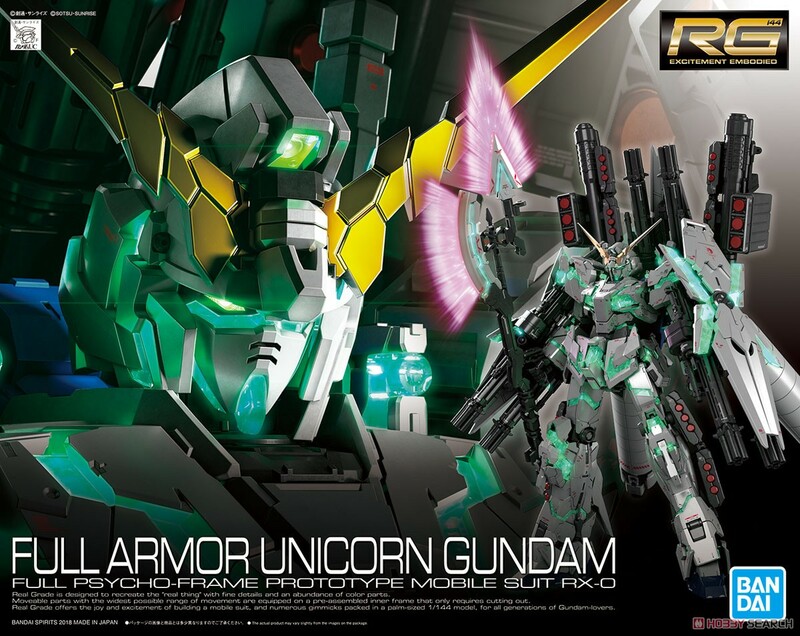 - Various armed types of RG Full Armor · Unicorn Gundam including new modeling are attached. - The shield merges with the beam · Gatling gun. Designed with ease of installation on the MS body by dedicated joint parts. - Includes Hyper · Beam · Javelin from the TV version OP appearance. By rearrangement, the folded state is also reproduced. - Propellant tank is reproduced in large volume by new modeling. A pedestal for support is also included and stable exhibition is possible. - Even with full armor equipment, it corresponds to dynamic action by part clearance and each joint structure. - It also has a transformation mechanism to unicorn mode by recombination.